Comedian Kapil Sharma on Tuesday was present at the trailer launch of his upcoming film “Firangi” and cleared the air about rumours over Salman Khan, Shah Rukh Khan and Anil Kapoor being angry with him over cancelled shows. Kapil also said he had wanted former colleague Sunil Grover to launch the trailer of “Firangi”. The actor also opened up about his depression and said he feels happy now that he had a chance to talk about it openly. “After reading what all media was publishing about me, I got even more depressed. It’s upsetting that negative news is valued more on any platform. “But because of it I even started to suffer from anxiety attacks. I miss my team, I can’t detach myself easily from people and things on my mind. Things like these were the reasons why I could not perform and had to cancel a few shows,” Kapil revealed. 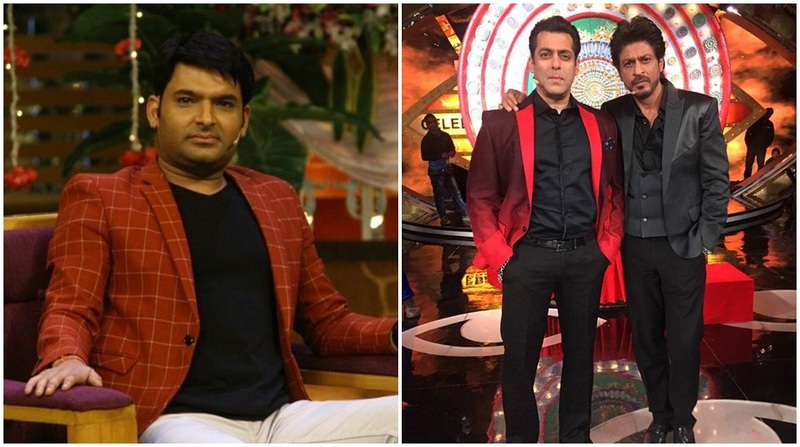 Refuting rumours about Salman Khan, Shah Rukh Khan and Anil Kapoor being angry with him as he cancelled the shows which were supposed to feature them, Kapil said, “People wrote stories like, I’ve sent Shah Rukh Khan away from my sets. The thing is I reached the set at 2 p.m. and SRK was supposed to come at 7 p.m.
“He was shooting nearby and somewhere at 8 p.m., I suddenly felt that I cannot shoot, I won’t be able to go on set, I cancelled the shoot and then I cancelled the second shot, third and fourth. Some people understood my problem, but some spread rumours,” Kapil told media. Explaining the Anil Kapoor episode, Kapil said, “When Anil Kapoor sir came to the sets, he saw that I cannot host the show and he was okay with it. He assured me that he will come next time. “Shah Rukh Khan came to meet me, he advised me ‘Take rest and set your mind’, and I took his advice and took a break. I even talked to Anil Kapoor as I was feeling guilty about cancelling the shoot,” said Kapil, explaining his side of the story. Kapil’s upcoming film “Firangi” is set during the British era. The trailer reveals that the audience will be witnessing the quirkiest fight against the British that has ever been seen. Talking about the film, Kapil said, “Films about the pre-Independence era have always shown the darker side of that time, but people still lived their lives and had happy moments. This film talks about those moments. The film, directed by Rajiev Dhingra, is produced by Kapil Sharma and also stars Ishita Dutta, Monica Gill, Aanjjan Srivastav, Maryam Zakaria and Raju Srivastav (special appearance). “Firangi” is scheduled for release on November 24.